Benedetto Croce and Italian Fascism provides a unique analysis of the political life of the major Italian philosopher and literary figure Benedetto Croce (1866-1952). Relying on a range of resources rarely used before in Croce studies - including police documents, archival materials, and the private edition of Croce's diaries, the Taccuini, published in recent years - Fabio Rizi paints an evocative picture of Croce in the fascist era. Rizi reconsiders Croce's contribution to the struggle against fascism, and demonstrates that Croce's anti-fascist resistance was not passive, as most critics have argued, but rather active in both the political and cultural arenas. Throughout the book, he shows the interplay between Croce's intellectual activity and the political events of the time. His extensive research reveals Croce's own close contact with the key players of the underground movements, and the fact that the fascist authorities regarded Croce as an enemy of the regime. Tracing Croce's life from his birth in 1866 to his death in 1952, this elegant biography sustains a consistent scope throughout: to clarify former misunderstandings and to better appreciate Croce's contributions to the cause of freedom. 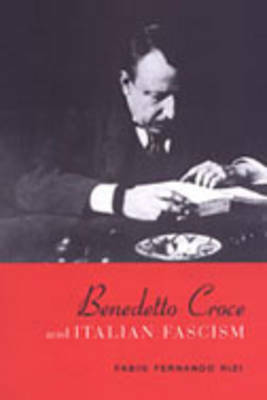 Well-documented and well-written, Benedetto Croce and Italian Fascism offers a critical and engaging contribution to Croce studies.